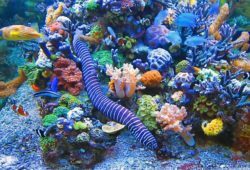 This article tells you about A Better Deal for Bettas. Bettas are probably the fish most commonly kept in small unheated and unfiltered bowls or tanks. At first sight, they seem the ideal fish for this situation. Bettas stay small, growing to approximately 3 inches in length. The waters from which they come are naturally slow-moving or still, and shallow. Bettas have the ability to take in oxygen from the air, which increases their resistance to low oxygen conditions. They dislike fast filtration. They are solitary in temperament and swim slowly. All these things makes them seem an ideal candidate for the small unfiltered bowl. 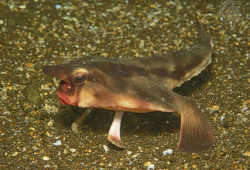 However, the waters from which they come are warm: the average temperature is 24-30C (75-86F), according to Fishbase.org. This is much higher than the temperature in most people’s houses, especially in the winter. While they will survive in an unheated bowl provided the room is decently warm, housing them like this seems questionable. When kept at lower temperatures, Bettas are less active and are more susceptible to disease. While Bettas do much better than most fish in low-oxygen conditions, they still suffer from build up of fish wastes when kept in small bowls. Such bowls must be cleaned much more frequently than a tank to prevent build-up: 100% water changes multiple times per week. 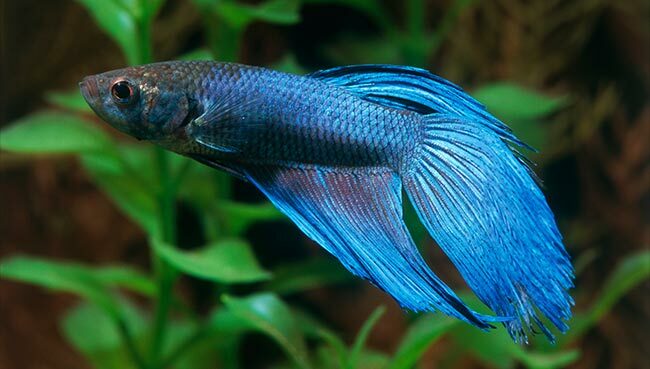 The long fins of male bettas are susceptible to finrot, and dirty water increases the likelihood of problems. Some of the objects in which Bettas are kept are too small for any fish. In petstores, they are often kept in hand-size bowls, or worse, in plastic drinking cups. I’ve even seen a few in containers narrower than their body was long, not counting the fins. Moral sentiment and the fish’s health aside, this is not a sensible way to sell these fish, as they cannot display properly and their beauty is completely invisible. 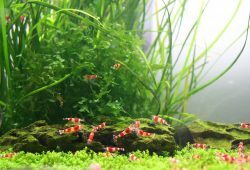 Keeping these fish in an adequate-sized and warm tank has advantages to the fishkeeper in addition to feeling good about the way you keep your fish. Healthy fish display more, build bubble nests and check every nook and cranny of the aquarium for missed food. They are much more interesting to watch, and a betta doing an aggressive display in a well-lighted aquarium is a truly stunning sight.